Roller coasters are all about crazy heights and out-of-control speed. 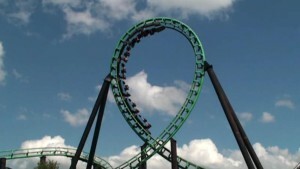 The companies struggle to build the fastest, the tallest or the longest roller coaster and most of all the scariest one. See here just how tall a roller coaster can get nowadays.